Hollandaise sauce can be pretty hard to get just right. Traditionally made. I am fond of a shortcut that I use though. 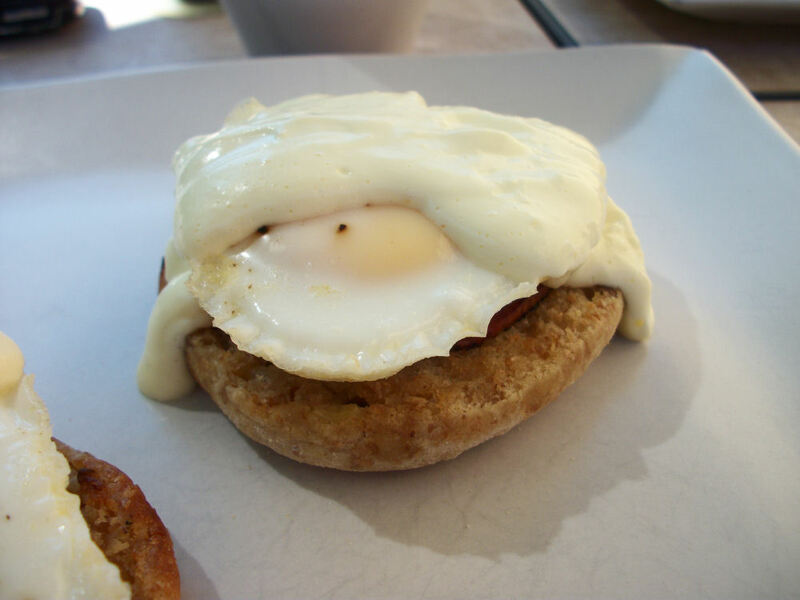 For those special treat brunches when only an egg benny will do. Now, the simple parts I’m sure you can figure out on your own, toast an english muffin (multigrain is best! ), pan fry a piece of canadian bacon, and poach an egg to medium. Layer them up and then top with this delicious sauce…proclaim yourself the god or goddess of brunch and enjoy.Keep in mind this is a totally bastardized version of making hollandaise but, num. In a microwave safe dish melt the butter in the microwave until it boils slightly. About 30 seconds maximum, watch the butter for the right moment. Crack an egg into a blender. Add a tsp of the melted butter to the egg and blend. Add the rest of the melted butter, the lemon juice, and seasonings. Blend until thickened and slightly frothy. Serves 4. Each serving of sauce contains 69 calories, 7 grams fat, .3 gram carbs, no fibre, 1.6 grams protein. This entry was posted in Breakfast, Comfort Foods, Craving Buster and tagged butter, Egg, Lemon. Bookmark the permalink.